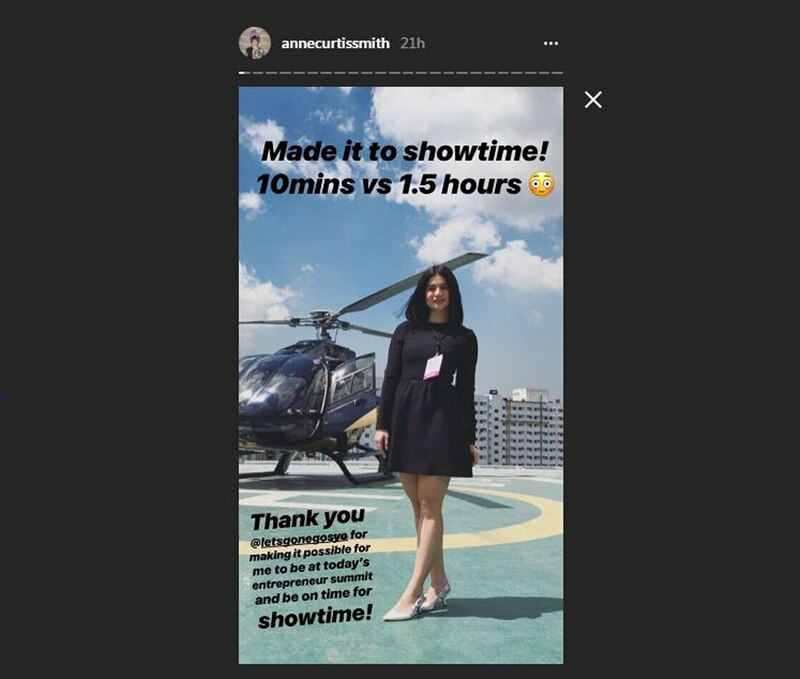 MANILA -- Anne Curtis rode a helicopter to avoid traffic and make it on time for "It's Showtime." Curtis attended an event in Pasay City on Tuesday morning and decided to take a 10-minute chopper ride to ABS-CBN in Quezon City for the live telecast of "It's Showtime." According to Curtis, it would have taken her an hour and a half to get to Quezon City if she took a car. Based on her latest post, Curtis is now in Japan where she is enjoying the cherry blossoms.